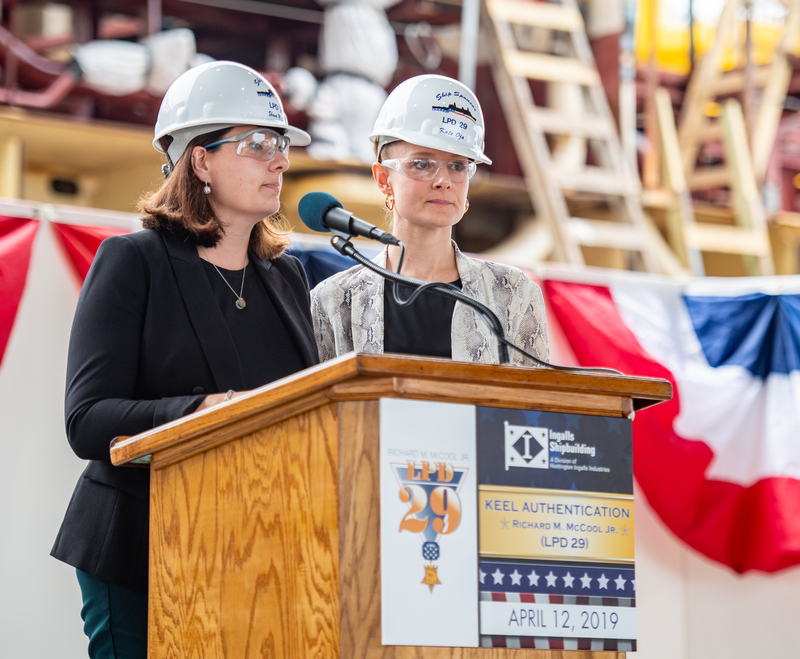 Huntington Ingalls Industries (HII) started fabrication of the 13th LPD-17 San Antonio class ship, USS Richard M. McCool Jr. (LPD-29), July 30, at its shipyard in Pascagoula, Mississippi. The start of fabrication signifies that the first 100 tons of steel have been cut. «We are excited to commence fabrication on the 13th and final ship of the LPD-17 Flight I class», said Captain Brian Metcalf, LPD-17 class program manager for Program Executive Office (PEO) Ships. «We continue to benefit from the maturity of this program and look forward to achieving future production milestones as we work to deliver this versatile and capable warship to the fleet». LPD-29 is named in honor of Navy veteran and Medal of Honor recipient, Captain Richard M. McCool, Jr., and will be the first vessel to bear the name. McCool served in defense of the nation for 30 years, spanning three wars. He was awarded the Medal of Honor in 1945 for heroism, after his ship was attacked by kamikaze aircraft and he led efforts to save the ship and rescue injured Sailors. 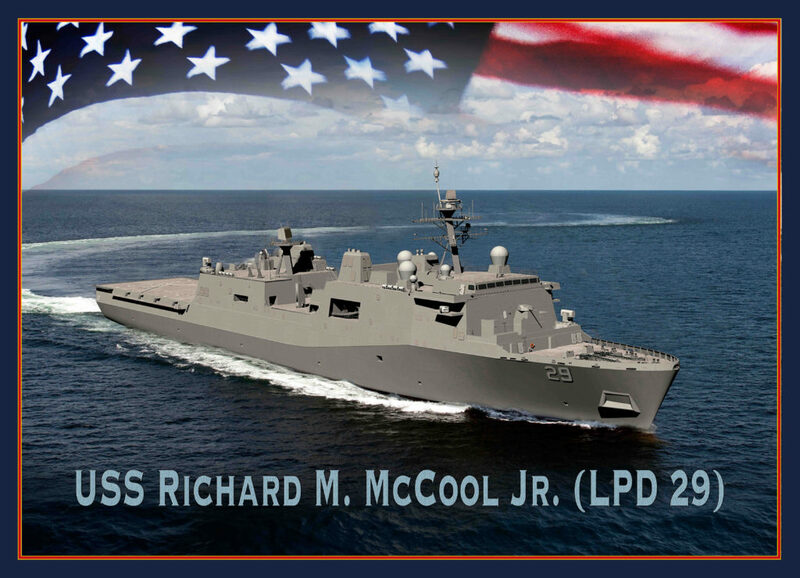 The U.S. Navy awarded the detail design and construction contract for USS Richard M. McCool Jr. (LPD-29) to HII on February 16, 2018. Eleven San Antonio class ships have been delivered, the most recent being USS Portland (LPD-27), which was commissioned April 21, 2018. USS Fort Lauderdale (LPD-28) and USS Richard M. McCool Jr. (LPD-29) will serve as transition ships to LPD-30, the first ship of the LPD-17 Flight II class. LPD Flight II class ships will be the replacement for the U.S. Navy’s aging LSD-41/49 class ships.